Mechanics component: Students will learn how to identify and properly use hand tools, power tools, and shop equipment. Students will disassemble, clean, identify, reassemble, and operate a single cylinder Briggs & Stratton lawnmower engine. As student progress in the program they will acquire entry-level employability skill while working on compact equipment and interacting with customers. Welding component: Students will learn how to identify and properly use hand tools, power tools, and general welding shop equipment, how to set up and operate SMAW welding equipment, select electrodes, and weld in various positions. They will learn how to weld a pad of beads, fillet welds, and groove welds in various positions leading to an AWS welding certification. 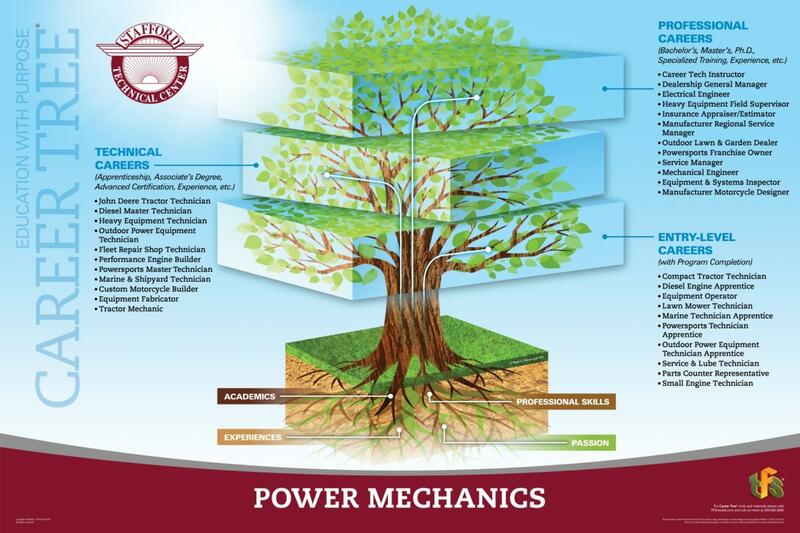 Returning Students: Students returning for a second year will be able to continue learning at a more advanced level in both the mechanics and welding sides of the program. Additional certification opportunities are available to enhance their Stafford portfolio. Curriculum and lab exercise are more intense preparing students for the workforce. Work study experiences may be available. Students learn to repair and operate everything from lawnmowers, motorcycles, four wheelers & ATVs. Welding is a required component of the program with American Welding Society Structural Certification available. 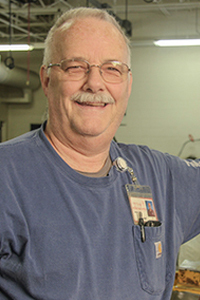 Tony Bosnich joined Stafford’s Power Mechanics/Welding Program as an instructor in the fall of 2013. Originally from Northern California, his early experience as a welder began with his 4 year enlistment in the United States Navy. After that he was employed for 7 years as a Journeyman/Welder with GKN Aerospace/Chem-tronics in San Diego, CA. Just before coming to Stafford, Tony spent 6 years at Northland Job Corps in Vergennes, VT. as a welding instructor. 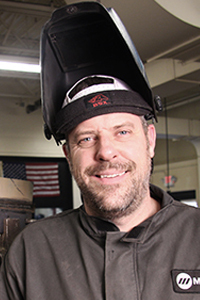 He is AWS/CWE Certified, and also teaches welding in Stafford’s Adult and Continuing Education Division. Jim Patry has been a Paraeducator at Stafford since 1995. He has primarily worked assisting in the Power Mechanics/Welding Program. He also instructs the Adult ED Small Engine class and he is one of the three Commercial Drivers License instructors in the STC/CDL program. Jim has had an eclectic job collection over the years. He has owned his own businesses and has worked in law enforcement. I came to Stafford because I was looking for a hands on education. It’s nice to be moving around all day instead of being stuck at a desk. If you’re thinking about Stafford go for it. 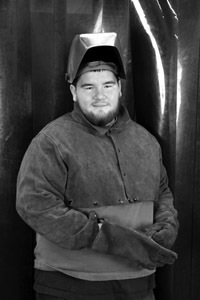 I am currently a student at Eastern Maine Community College Welding program. Second year: AWS SMAW/FCAW Unlimited Thickness welding qualification in 1G, 2G, 3G, or 4G positions on 1” plate, OSHA 10 hour Construction Certification, Completion of: AWS S.E.N.S.E. program level 1, “Entry Welder” Testing. *Average Salaries taken from the Department of Labor (dol.gov) and Chron (chron.com).